In 2015, over 5 million Americans were living with Alzheimer's. This included about 5 million people over the age of 65 and about 200,000 people with earlier-onset disease. One in nine people 65 and older has Alzheimer's disease, and about 30 percent of Americans over the age of 85 has the disease. Eighty-one percent of people with Alzheimer's are 75 years old or older. Figuring out the impact of Alzheimer’s disease on life expectancy and longevity is complicated, as people are normally older when they are diagnosed with Alzheimer’s disease, and they may have multiple conditions impacting their life expectancy. However, here's what we do know about Alzheimer's disease and life expectancy. Alzheimer's disease is one of the top 10 causes of death in the United States. According to the Alzheimer's Foundation of America, the disease usually progresses over anywhere from two to 20 years. People diagnosed with Alzheimer's typically live an average of eight to 10 years from their time of diagnosis. In one study, researchers at the Johns Hopkins Bloomberg School of Public Health found that having late-stage Alzheimer's disease increases the risk of death by 8 percent each year. This 8 percent increase in risk remains constant with aging and is added to other risk factors, such as heart disease. Women lived an average of 4.6 years after diagnosis, men lived 4.1 years. People diagnosed when under age 70 lived 10.7 years compared to 3.8 years for people over 90 when diagnosed. Patients who were frail at the time of diagnosis did not live as long, even after adjusting for age. Overall, the average survival time for someone in the study diagnosed with Alzheimer's disease or dementia was 4.5 years. In the early stages of Alzheimer's disease, cognitive impairment is not the only determinant of quality of life. While you can't change factors such as age at diagnosis or gender, research shows that the care that a person receives impacts life expectancy. 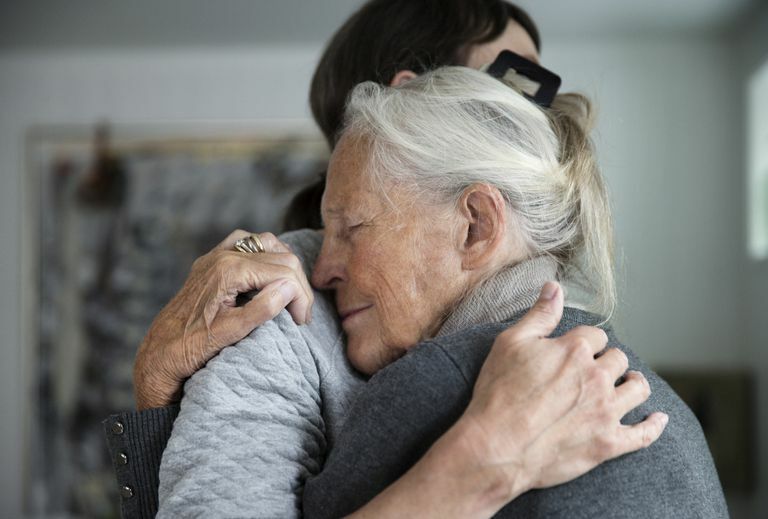 Be sure that you explore options when it comes to creating a care plan for a loved one diagnosed with Alzheimer's disease and take advantage of any support groups or other resources that may help. The extent to which a person with the disease can maintain his or her social relationships can also play a large role. Patients should talk with their doctor or a psychologist for strategies to cope with social situations. In addition, maintaining household responsibilities for as long as able can help improve the quality of life. In later stages, a patient's needs may change, and it is important for a caregiver to know how to care for themselves in addition to their loved one. There have been many studies looking into the use of puzzles and other forms of “mental fitness” to help delay or prevent Alzheimer’s disease and dementia. A famous study of nuns showed that the individuals most curious and engaged mentally in the world had less Alzheimer’s disease and dementia. Try these top ways to exercise your brain. Johnson, Elizabeth; Brookmeyer, Ron; and Ziegler-Graham, Kathryn (2007) "Modeling the Effect of Alzheimer's Disease on Mortality," The International Journal of Biostatistics: Vol. 3 : Iss. 1, Article 13. Xie J, Brayne C, Matthews FE; and the Medical Research Council Cognitive Function and Ageing Study collaborators. Survival times in people with dementia: analysis from a population-based cohort study with 14-year follow-up. BMJ. 2008 Jan 10.